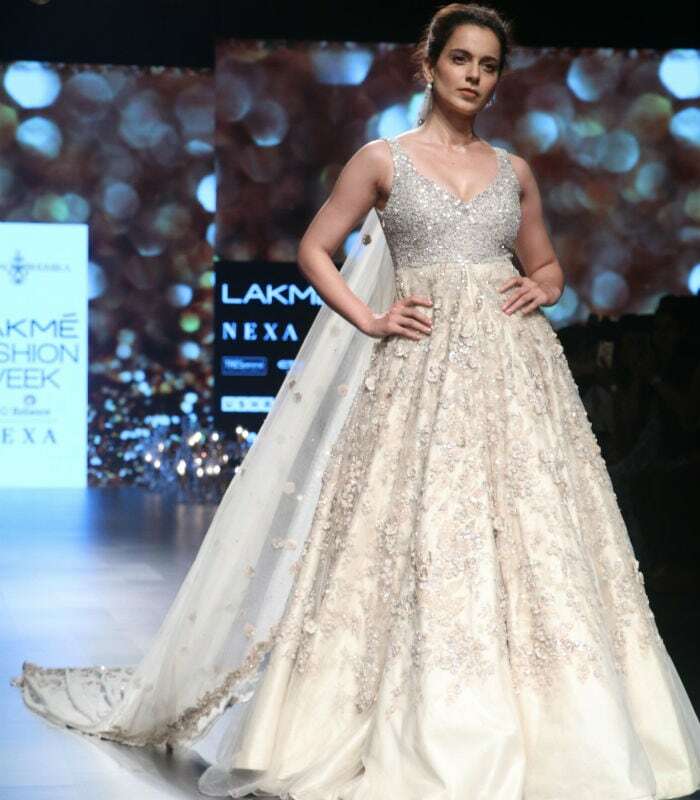 Actress Kangana Ranaut's breath-taking walk on the ramp of the Lakme Fashion Week 2018 reminded us of the Fashion days as she turned showstopper for designer duo Shyamal and Bhumika. The actress looked every bit of a princess in a cream-coloured bridal gown with a sparkling bustier and a long train. 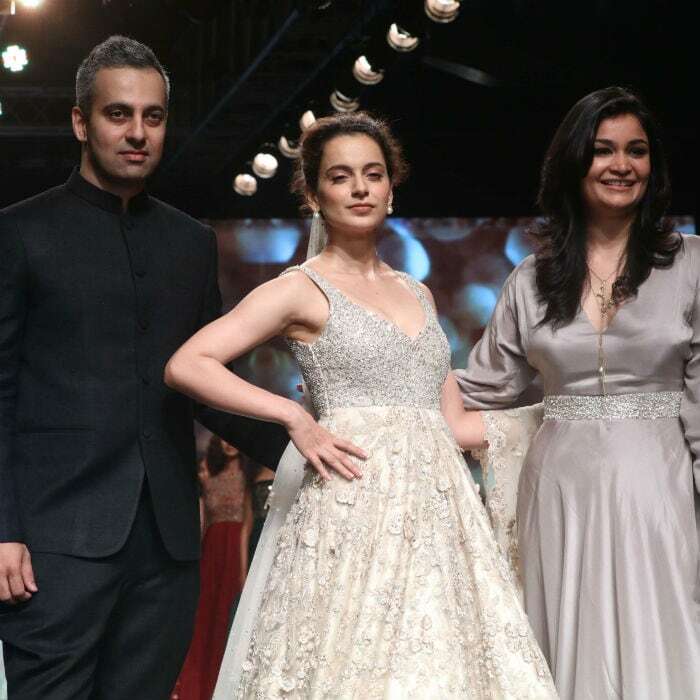 Of Kangana representing their collection 'Wonderland by Shayamal and Bhumika', designer Bhumika told IANS, "She stands up for her rights and truly does represent the modern Indian woman. We could not have thought of anyone more ideal for us to present this new collection at Lakme Fashion Week." Designer Shyamal was also in praise of the actress, "Kangana Ranaut is a superstar who exudes confidence while being fearless and bold. It felt natural to associate with her as she aptly embodies the qualities of a Shyamal and Bhumika woman with great finesse and fearlessness," reported IANS. Kangana's team shared this stunning photograph on their Instagram: "Ethereal, exquisite and undaunted: Show- stopper in true sense of the word!" they wrote. They also posted a video of the actress walking on the ramp as a showstopper for the designer duo. Kangana Ranaut, who never shies away from calling spade a spade had sparked off a debate last year after making an appearance on Karan Johar's talk show, where she accused the latter of being a 'flagbearer of nepotism'. On the side-lines of talking about her experience on ramp, Kangana also answered a question about her recent appearance alongside director Karan Johar for TV show India's Next Superstars. She told IANS, "In my professional career, I didn't have any such feelings. I am not here to be friends with everyone and won't get into their personal space either. I am a very professional person and a career-oriented woman. I won't compromise on my opportunity. I will be out there. I will get what I deserve." The actress is currently busy shooting for her next film Manikarnika: The Queen Of Jhansi.